Some nice challenging terrain on this one. A bit of Yarra Trails to start the day and then up Darebin Creek to Latrobe Uni, finding as much sneaky singletrack as possible. From there it's a short hop through suburbia to Blue Lake for some gnarly technical hills - hope you're not afraid of heights! 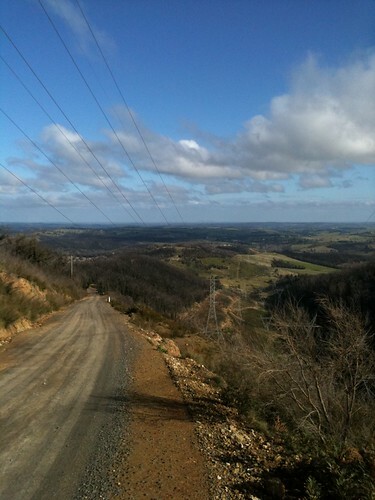 A quick spin up Greensy Hwy and then we hit the country roads all the way up to Kinglake West. Lots of hills, lots of dirt roads, beautiful farmland as far as the eye can see and plenty of animals to spy on the way - the scenery around this area is awesome - just don't forget to look up every now and then on the short sharp climbs and sketchy loose descents. Cadel grew up around these parts in his MTB years and look what happened to him - riding these hills will make you a goddam world champion!